To some this might be kooky-krazy-weird-and wacky. I think it’s great. 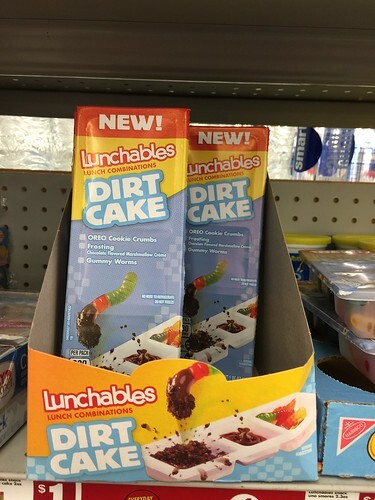 Lunchables Dirt Cake is some gummy worms with two trays of dipping…one is a chocolate frosting type dip and the other is cookie crumbs. This looks like so much fun and if I was a kid…and hell I would probably want one of these in my lunch everyday. I grabbed a few of these to have a taste test and noticed that they were expired. Like months old. So I grab another. And another. And another. Two full boxes and they are all expired. So I didn’t actually get to taste them. 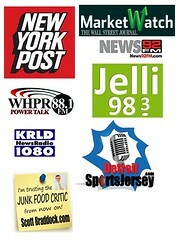 But now they are on my radar so I will be looking for them elsewhere.